HP (NYSE: HPQ) and Palm, Inc. (NASDAQ: PALM) today announced that they have entered into a definitive agreement under which HP will purchase Palm, a provider of smartphones powered by the Palm webOS mobile operating system. Today, Wednesday, April 28, 2010 at 5 p.m. ET / 2 p.m. PT, HP held a live audio webcast for financial analysts and stockholders to discuss HP's agreement to acquire Palm. Here is a summary of the call with my comments as well. He mentioned all the typical “forward-looking statements” and “Regulatory approval pending” warnings before proceeding to stating that the deal will be “financed with existing cash” and “is expected to close in the third quarter of HP's fiscal 2010 ”. Todd Bradley, Executive Vice President of HP's Personal Systems Group, discussed the strategic benefits of the transaction. It is no secret that HP is interested in “additional connected mobile form factors”, as they have played in this arena for years with their Compaq\HP iPAQ. The iPAQ refers to a Pocket PC and personal digital assistant first unveiled by Compaq in April 2000; the name was borrowed from Compaq's earlier iPAQ Desktop Personal Computers. Since Hewlett-Packard's acquisition of Compaq, the product has been marketed by HP. The device was the main competition to the Palm handhelds, but provided more multimedia capabilities using a Microsoft Windows interface. After 10 years of competing with each other, these two talented technology companies are combining for obvious reasons. Apple's iPhone commercials have ushered into the consumer's mindset expectations of applications or apps. Prior to the iPhone, there was hardly any promotion of apps to the masses. Now it is almost mandatory that apps be mentioned in the promotion of any smartphone. Shouldn't HP understand this more than any company? As a hardware manufacturer, they understand (or should) that most people use their computers for the applications that are executed on them. So the people are the key to the success of this deal, but it is also what these people are making that makes the deal possible too. When asked why HP didn't just design their hardware to run the Android OS, HP was clear; they will still do partnerships with the likes of Microsoft and others where it makes sense, but when it comes to the WebOS, it just makes sense to to do that too. “Palm has developed a world-class mobile operating system and platform. The integrated user interface they have architected and implemented delivers an incredible experience from true multitasking on the device to a rich and growing set of applications. ” Clearly “multitasking” is a buzz word that consumers are quickly learning to add in their minds and expectations of a mobile device. 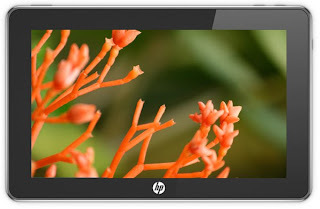 HP is excited to get hold of the patents and especially the WebOS. “webOS was built as a true mobile platform. With the Web at its core, it enables significant scalability, ease of application development, and portability to multiple devices. The environment performs the way you would want and expect a personal connected device to operate with application multitasking, integrated personal information, and Web services and an intuitive gesture interface. With more than 2000 applications and growing, this platform and the Palm developer program are gaining momentum. With HP, given the financial commitment we intend to make to this operating environment, we expect this pace to accelerate. ” The message is clear, we will compete against Apple, Google, HTC, Samsung, Dell and anyone else that wants to battle in the mobile economy. Make no doubt about it, WebOS is a powerful operationing system and clearly HP recognized this fact. Rod Hall, an analyst for JPMorgan , had a great question that's worth showing, “...One of the main questions we have got is we have seen Apple succeeding as a content platform in addition to the hardware platform that they are providing. So they are doing a lot of content aggregation. Do you intend to get into that side of the business to move the platform forward? Can you just talk a little bit about what your content strategy might be?" Well I personally think content is going to be a key factor as well and will be discussed in great detail over the coming months and years. At this time, HP has not announced any specific time lines at this point for any new product. I can not wait to see the first product that this team produces. It has been a busy few months at Palm, and it’s going to get even busier as today’s announcement accelerates our plans. This process was entered into because the leadership team and the board took a close look at the business and determined we needed to increase our scale and speed of development to succeed. Following a formal review process, and in consultation with financial advisors and lawyers, we determined that the most viable path and best way to optimize the opportunities ahead for the company, our shareholders and our customers was to combine forces with HP. We have all played a role in transforming Palm into an important player in the smartphone market once again. We have built the best mobile experience available today and a assembled a group of extremely talented and passionate employees. This deal, and the high level of interest we received from other serious buyers, is a vote of confidence in our platform, our IP and our people. HP brings the necessary resources to enable us to scale Palm’s operating system, an operating system that is widely acknowledged as one of the best out there. You should view this as a positive development as we take the Company and our products to the next level. We bring our platform, our IP, and our employees, and HP brings the resources we need to be #1. We are confident we will be stronger as a combined company than alone, and look forward to working over the coming months to integrate our businesses and share our vision. Rest assured, we will continue to work closely with our partners and developers to expand the webOS platform and deliver quality products and services during this integration process and beyond. As we work over the next three months to complete the transaction, it should be business as usual at Palm – we will all continue to work together to increase sell-through and satisfaction and strengthen our product roadmap. Jon and the executive staff are committed to keeping employees up to date on significant milestones that will affect Palm employees. In the meantime, if you have any questions, please see your manager.